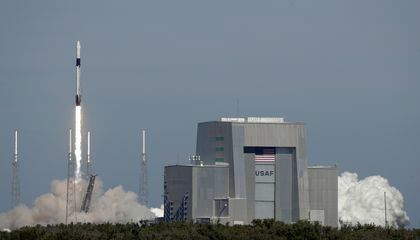 Christmas turkey rocketed toward the International Space Station on December 5, along with cranberry sauce, candied yams and the obligatory fruitcake. A SpaceX commentator called it a "bummer," but noted it was secondary to the Falcon 9 rocket's main mission of getting the Dragon capsule to orbit. SpaceX chief Elon Musk said the booster appeared to be undamaged. The hydraulic pump for the landing fins apparently stalled, but the engines stabilized the approximately 160-foot-tall booster just in time, allowing for "an intact landing in water!" Musk noted via Twitter. "Ships en route to rescue Falcon," he tweeted. SpaceX's 12 previous ground landings — dating back to 2015 — all were successful. 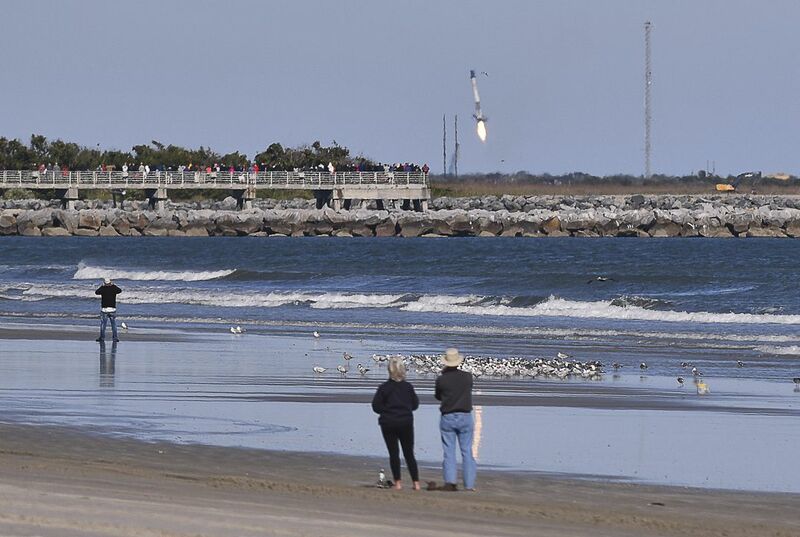 Altogether, the company has recovered 32 boosters following liftoff — 33 once this one is towed back, said Hans Koenigsmann, a SpaceX vice president. He did not know if it could be reused. The disappointment was offset by the successful flight of the Dragon capsule and its 5,600 pounds (2,500 kilograms) of cargo, which reached the space station December 8. Besides smoked turkey breast and all the other fixings for Christmas dinner, the delivery included 40 mice and 36,000 worms for aging and muscle studies. Just two days earlier, three astronauts arrived at the space station to join the three already there. The crew included two Americans, two Russians, one German and one Canadian. The newest residents will remain on board for six months, while the others will return to Earth on Dec. 20.